STARKVILLE, Mississippi — The high school students sat around the conference table, their pens poised, listening with rapt attention to advice being served up by Marjada Tucker. 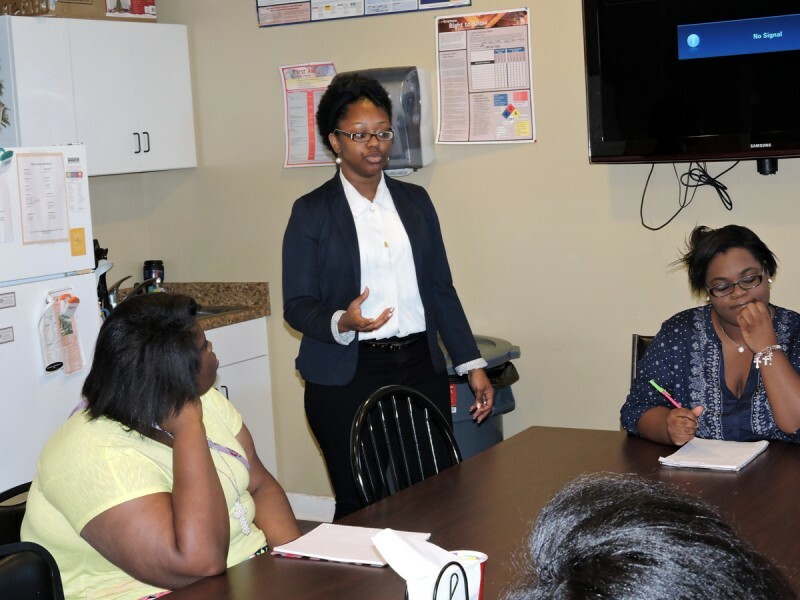 It was the fourth meeting of Tucker’s College Readiness Program, a summer institute she created to help students in Mississippi’s Oktibbeha County successfully make the tough transition from high school to college. But most remarkable about the scene in a conference room at Baze’s Pharmacy in Starkville earlier this summer wasn’t the captivated teens; it was Tucker herself. At 19, she’s just a year or two older than they are, and she’d come home to Mississippi after completing her freshman year at Rice University in Houston, where she battled expectations that her academic work would be substandard because she’s seen as a poor black girl from the nation’s poorest state. Tucker says her experience of getting into Rice, where she plans to major in biochemistry before going to medical school, drove her to return home and lift as many high school students as she can to higher education. It’s an area that needs help: the four-year graduation rate in 2012-13 was so low in Mississippi that for every two students that graduated, another did not. About three quarters of Starkville High School students managed to graduate in four years, compared to the national average of 81 percent. Tucker’s program is a microcosm of the recent rise in the use of peer-to-peer counseling to inspire low-income students to aim higher. Researchers at Harvard and Stanford have shown that while many of the top 25,000 to 35,000 highest scorers on the SAT and ACT come from low-income families, most don’t apply to selective universities and colleges, for which they are not only qualified but would likely receive financial aid. Many wind up at community, city, or regional public colleges or forego higher education altogether. Related: There’s one education reform proven to work on a national scale, so why aren’t we trying it? Last spring, Tucker announced on Facebook that she was starting a summer program to prepare Starkville High School students for college. Within hours of the posting, she began to hear from parents who were interested. Starkville surrounds the large, bucolic campus of Mississippi State University, but the community also has pockets of severe poverty. In 2013, 31 percent of Starkville’s residents were below the federal poverty level – far higher than the state average of 20 percent. Tucker says when she sits down and talks to the young people in her community, she is shaken by how much they already seem defeated by their circumstances. 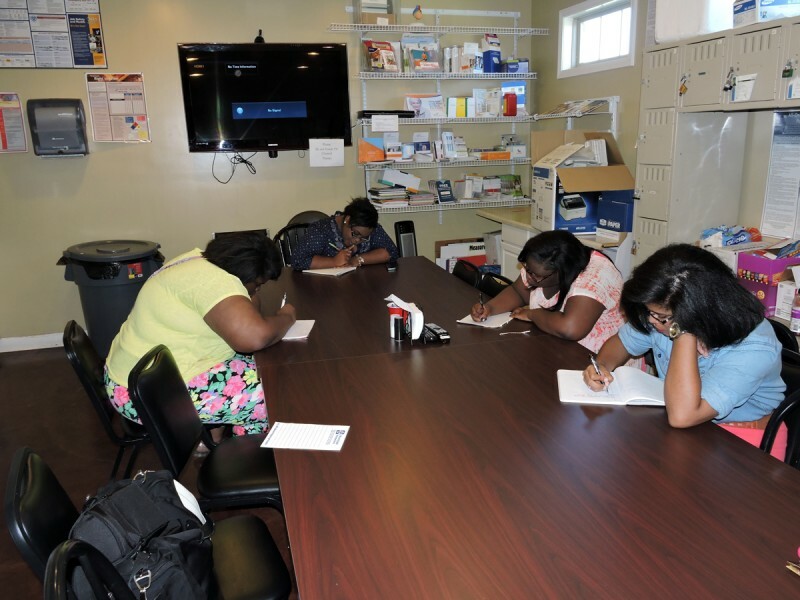 In June, she began meeting on Saturdays with six girls, all juniors and seniors, who signed up for her College Readiness Program. Parents were pleasantly surprised when Tucker told them the program would be free, thanks to a $5,000 grant she received from the Virginia-based Jack Kent Cooke Foundation, which helps high-performing, low-income students develop their talents and excel educationally. The Jack Kent Cooke Foundation is among the various supporters of The Hechinger Report. The grant pays for transportation, supplies such as notepads, pens, folders, paper, printer cartridges and Tucker’s own time – a minimum of 320 hours for the summer. Related: What’s behind the Deep South’s low high school graduation rates? Tucker’s program is one small way to help a state that struggles to prepare students for higher education. In 2015, just 13 percent of students in Mississippi met the ACT college benchmark in all four subjects: English, reading, math and science, compared to 28 percent of test-takers nationally. In Algebra, only 21 percent of students were deemed college-ready compared to 42 percent were nationally. The state’s average score on the ACT – an exam many colleges require for entrance – was just 19, compared with 21 nationally. The highest possible score is 36. 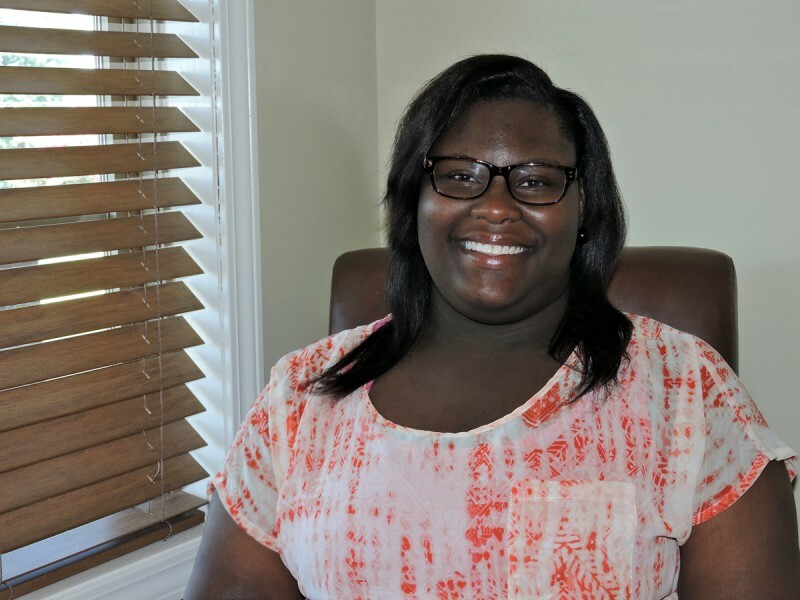 The program gave a boost to students like Alexus Milons, a senior at Starkville High School, who got answers to many questions she had about college and set a goal for raising her own ACT scores. “I couldn’t ask questions at my high school because there was too much chaos,” Milons said. Starkville High School does offer help applying to college, said guidance counselor Norma Cole, including a financial aid workshop for parents that describes aid and scholarship opportunities, ACT workshops and an annual college and career night with colleges from all over the South. Cole stayed after school two days a week last year to help students wade through the application process. She welcomes any extra help. “The more people that are involved in a child’s life the better off they are,” Cole said. At their very first meeting, Tucker asked the students to write down their college goals, and Milons disclosed that in addition to increasing her ACT score, she hoped to improve her vocabulary, secure scholarship money for college and convince her family to allow her to attend college in Chicago. Black students make up only about 8 percent of Tucker’s class at Rice, according to statistics on the university’s website. In addition to the weekly sessions for the College Readiness Program, Tucker met with members of the local Boys and Girls Club to counsel dozens of other students. She spent considerable time discussing details of the college application process, along with how to apply for scholarships and develop a portfolio of accomplishments. Tucker encouraged students to stretch outside their comfort zones and apply to elite colleges like Rice. Yet, she warns them that they might have to overcome attitudes like the ones she has encountered – including an expectation among some of her college classmates that she wasn’t academically prepared. Long before starting the College Readiness Program, Tucker was active in community outreach. She volunteered with the mayor’s youth council, the local girl scouts chapter, and a library program. And as part of service to her church, she initiated ACT preparatory courses. Tucker provided crucial information about the scholarship application process. She received more than $1.5 million in scholarship money, from foundations such as Ron Brown, Bill & Melinda Gates, Jack Kent Cooke, Tom Joyner and Questbridge. The offers were so generous she had to tell several foundations she no longer needed their money, but stayed in contact so she could gather information for her students. When discussing her own experiences, Tucker says she learned at an early age there were many who didn’t expect much from her. She describes how as a high-achieving sophomore at a struggling public high school in Oktibbeha County, she took a leap and applied for admission to Mississippi School of Math and Science, a specialized public residential high school for gifted students established in 1987. It accepts just 100 rising juniors from across the state, who live on campus at Mississippi University for Women in Columbus. Tucker says she lives to shatter misperceptions and destroy stereotypes. Each time another one pops up, she takes careful aim. There was the time she attended a conference outside of Mississippi, listening to a counselor advise an auditorium full of adults and high school students when incoming college freshmen should use Advanced Placement credit from high school to opt out of college entry-level courses. “He was saying, from his experience, if you’ve taken AP courses, you should opt out of the college courses. But then he added, ‘Unless you’re from Mississippi,’” she remembered. Even at Rice, Tucker says her classmates laugh at her Mississippi accent; she has to prove herself constantly. Her race also sets her apart. Black students make up only about 8 percent of Tucker’s class at Rice, according to statistics on the university’s website. It’s an area that needs help: the four-year graduation rate in 2012-13 was so low in Mississippi that for every two students that graduated, another did not. David Ruth, the university’s director of national media relations, said via email that federal regulations prohibit him from commenting on the academic experience of individual students. 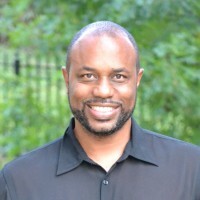 But he provided a list of university initiatives intended to help students of color, such as faculty and peer mentoring. “We’re very proud that Marjada is helping students in her hometown prepare for college,” he said. Tucker’s work in Starkville is driven by a resolve to help others. According to her mother, Toni Tucker, the selflessness has been there nearly from the beginning. Just five days after she gave birth to Marjada, Toni Tucker was diagnosed with cardiomyopathy—a disease characterized by the deterioration of the heart muscle—and almost died. As young as 5, Tucker was helping her mother run the household and take care of her younger brother Zion, who has epilepsy. Her parents split when she was 4, right after Zion was born. Years of overseeing pill schedules, handling household chores and taking care of family business forged character traits that now set her apart. Other adults have played mentorship roles in her life—including Ophelia Eze, the owner of Baze Pharmacy in Starkville, and Eze’s husband, Dr. Placid Eze, who owns the Eze Family Clinic right next door. 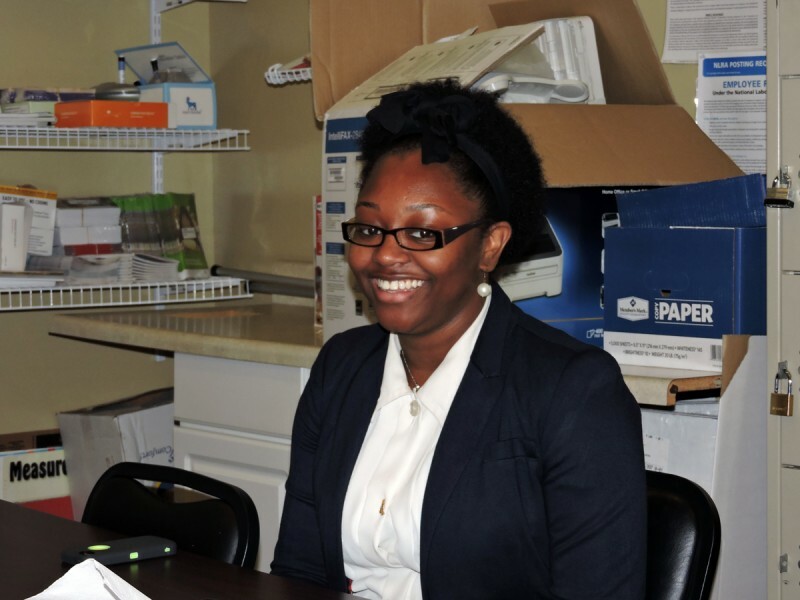 It was Ophelia Eze who offered her conference room for Tucker’s College Readiness students. Tucker says she’s already seen a transformation beginning to take place in some of the young men she worked with during the week at the Boys and Girls Club, proving to her that change is possible. 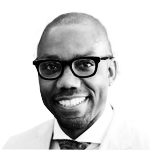 This story was produced by The Hechinger Report, a nonprofit, independent organization focused on inequality and innovation in education. Read more about Mississippi. Sarah Butrymowicz contributed reporting to this story.